Pink tote bag. padded faux fur bag closed with a zipper. long handles bag. shoulder bag made in france. washable luxury shopping bag. Package shipping 48h. 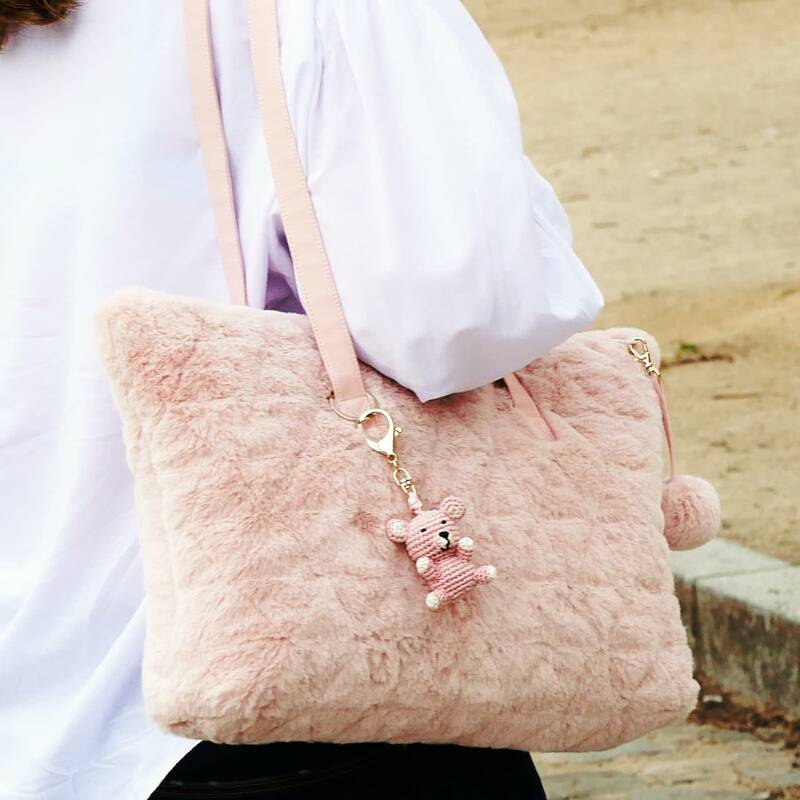 Light pink padded faux fur tote bag original and unique. It closes with a zipper ended with a pompom made of the same fur. A little teddy bear on a key chain ring to decorate (it can be removed). Its allongated shape is elegant and classic. The color and the fabric are new. The soft and the silky fur make it very chic and fashion. So you can use it easily in any situations. You can use it as luxury shopping bag too! The design of the padding fits to the form. The handles made of the same pink satin cotton are solid. There are two pockets inside. It is perfectly washable, preferably handwash at 30°c. It's made for long last.